Scorpio, the first SUV from the home grown largest SUV maker, Mahindra & Mahindra was launched in 2002 and has been one of the best product so far from them. Some thing which still gives the modern and latest Renault Duster, a tough competition. M&M now teases Scorpio Limited edition with more luxurious features on their facebook page and plans to launch soon the same. The Image shown on the facebook teases just the front fascia of the car and that too partially exposed. The rest of the car is covered under a neat satin cloth. However, the chequered flag on the top of the bumper sandwiched between headlamps and the fog lamps do gives us a little bit of hints. 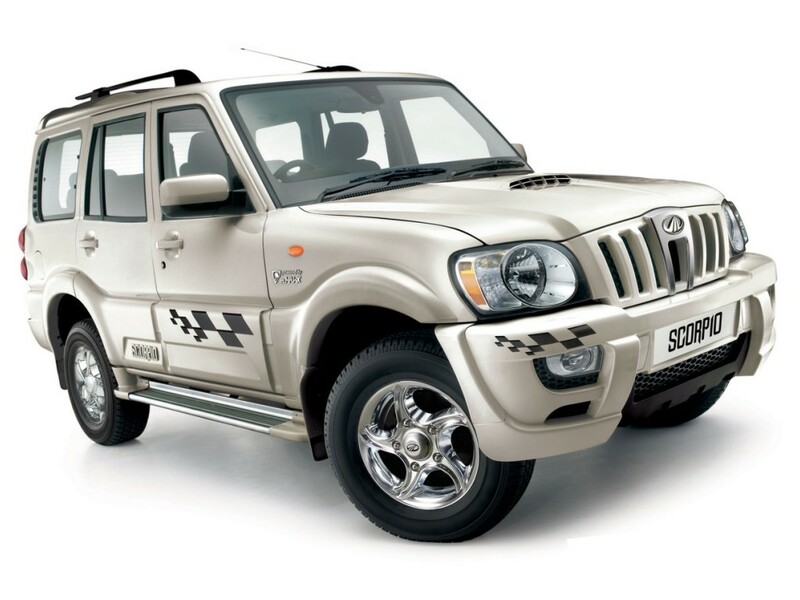 A similar looking Mahindra Scorpio was exposed during 2010 Auto Expo with chequered flags on bumpers and even on sides of the SUV. Will we be seeing a similar kind of a vehicle, only time will tell. However, what we can think of is an additional roof mounted DVD player along with other bells and whistles to be included in the new car. Stay tuned for more ! Meanwhile, Mahindra Scorpio last month out sold Duster in India and would like to take on this advantage for the festive season. Therefore, the perfect timings for introduction of Limited edition variant. Thumps up for the same. The full image of Scorpio Limited edition has just been revealed and here are the detailed features attached.